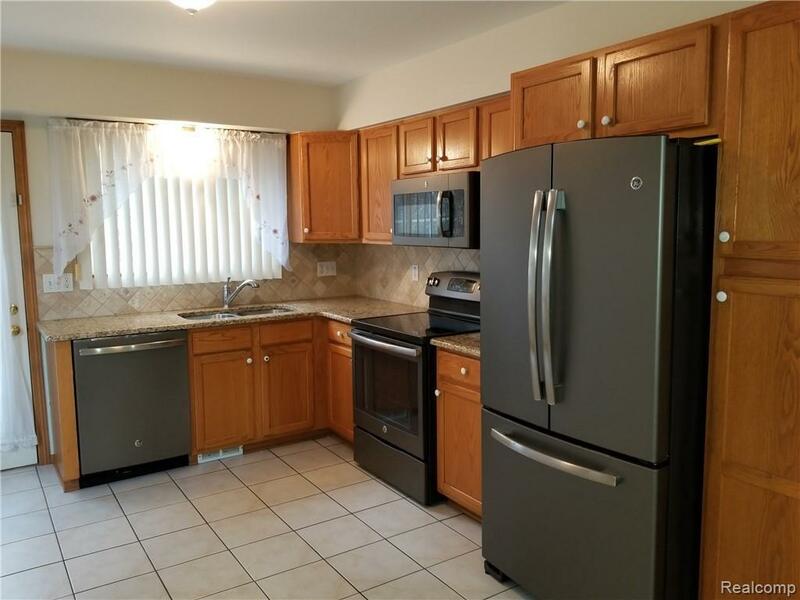 Immediate occupancy and move in ready! 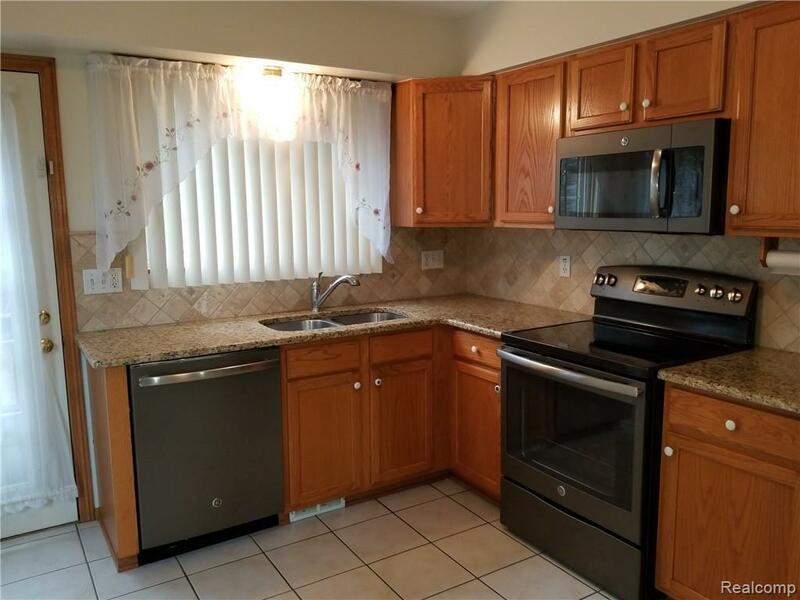 2 bedrooms, 2 full bath/2 half bath, end unit condo. Open floor plan. 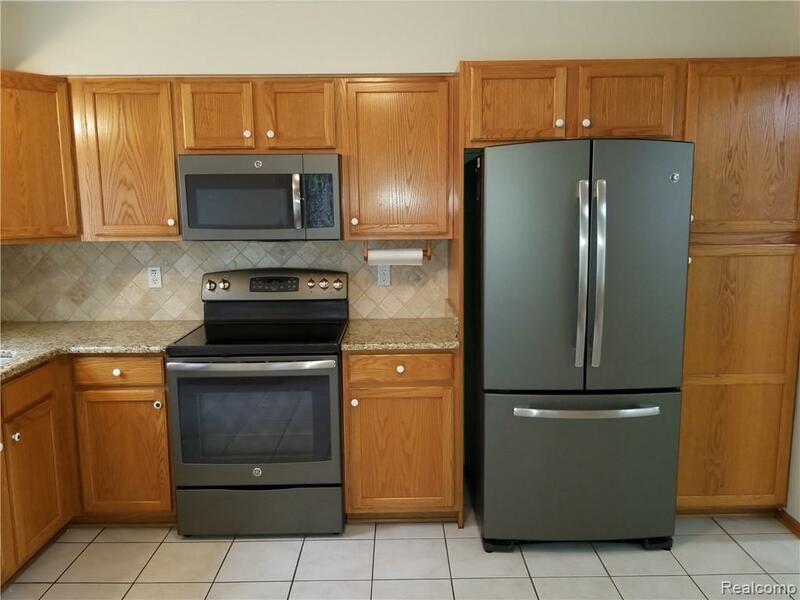 Kitchen: lots of Oak cabinet, granite countertops, newer dishwasher, stove, refrigerator and microwave; bowed window and door leading to deck with private back yard. Great room has cathedral ceilings, ceiling fan, recess lighting, carpet and beautiful large window. Two master suites! First floor master features gas fireplace, ceiling fan, two closets and private bath. Second master features cathedral ceiling, ceiling fan, recess lighting, fireplace, WIC, linen closet and private bath. Spacious loft with skylights. First floor laundry. Side entry 2 car attached garage with extra long driveway. Lots of natural sun light throughout. 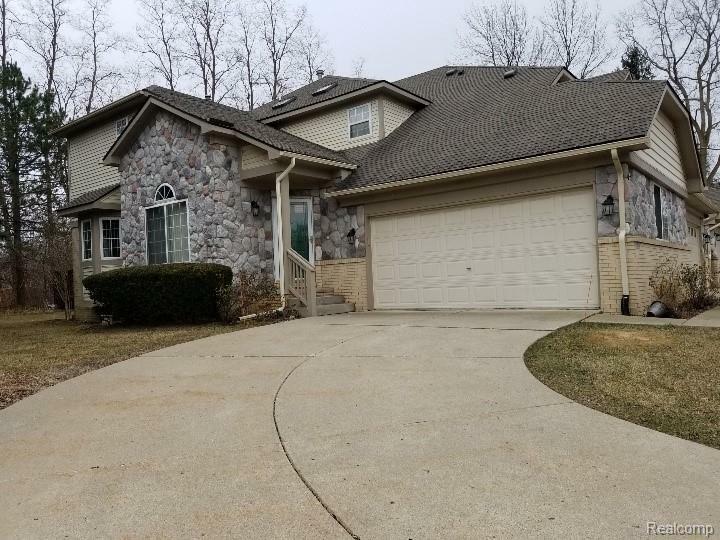 Finished basement with family room, half bath, and lots of storage. Plymouth Canton Schools.